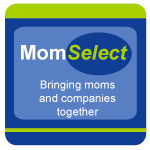 Kids can often be afraid of hospitals and medical professionals. I know that my boys do not have fond memories of visiting them. Of course, being rushed on an ambulance and having people be unable to get an IV in a child can be traumatic. Thanks to this, we wanted to help ease the boys’ perception of hospitals, doctors, and others that work in the emergency fields. 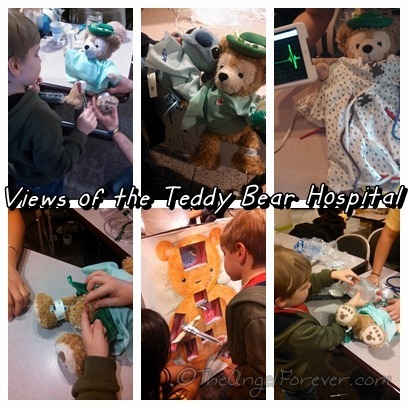 Albany Medical Center held their tenth annual “Teddy Bear Hospital Day” over the weekend. 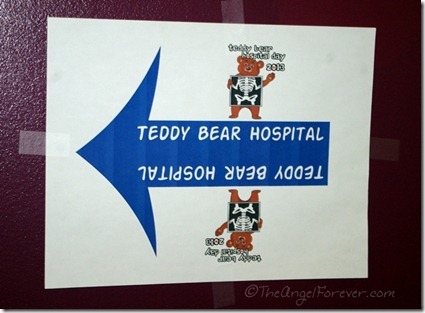 Children in the community can bring their teddy bears (or aliens) to the event to have check-ups by a medical student. The kids actually rotate around different stations, where they learn about medical procedures while getting hands-on experiences. When we arrived and parked our car, we went over to see the First Responders that were parked outside. 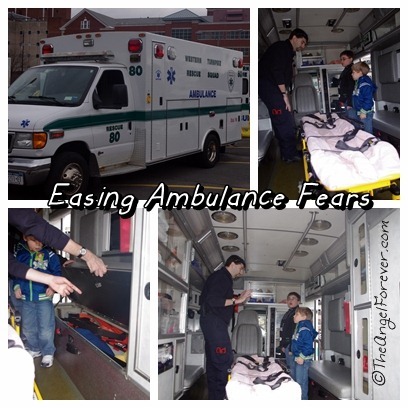 The members from Western Turnpike Rescue Squad had their ambulance to give kids a tour. NHL was in an ambulance years ago when he had a febrile seizure. Poor JSL has been on one many more times after a hand full of febrile seizures. Neither of the boys recall those rides, but I do. 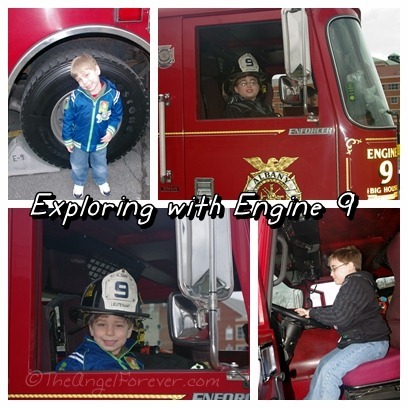 They really enjoyed looking around inside the truck to see all of the equipment. Members of the Engine 9 from the Albany Fire Department were also there with their truck. The kids were able to walk around the truck, ask questions, and explore. Oh and they also were allowed to jump into the truck for a great photo opportunity. I know these first responders are often the ones that show up at home, so allowing the kids to see how kind and patient they were was priceless. From here we wandered through Albany Medical Center to the cafeteria where the event was being held. The boys had their stuffed friends ready. First, we signed them in and got our bags. Next, we waited on line for Stitch and Duffy to get their medical gowns and ID bracelets. 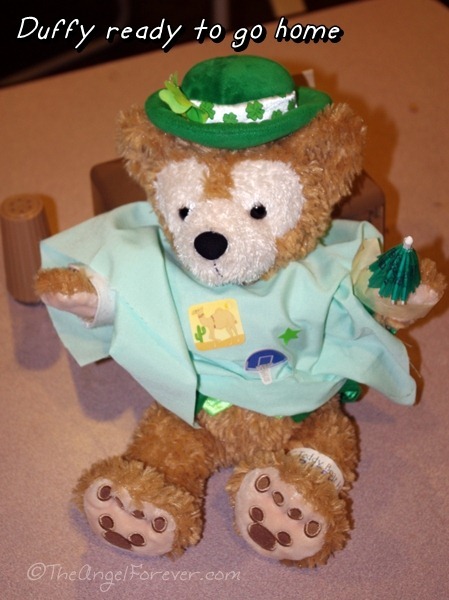 After this, Stitch and Duffy had check-ups from one of the medical students. The boys were allowed to use stethoscopes and other medical instruments to assist in the exam. From here, we wandered around the different stations that included: Emergency Medicine, Anesthesia, Hospital Adventure, Psych-Neuro, Clinical Nutrition, Orthopedic Surgery, Dermatology, Tar Wars, Lyme Out, and more. In addition to this, the kids were able to get ID badges made with photos of them with their friends. This was by far the cutest part. Stitch and Duffy did really well, although they both required a cast. 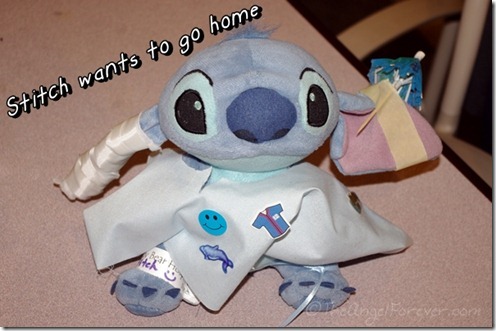 Stitch ended up having a broken ear as he went around with NHL. He got that fixed up and did really well in the end. Poor Duffy ended up breaking his little tail when he went to get some shots. At least that is what JSL told them when they asked what happened to him. Thank goodness they had the supplies to help and stabilize that break. A huge thank you to Albany Medical Center, the staff, professors, and medical students that ran this. It was so well done it was a pleasure to take the boys to. If you ever have the chance to go, I highly recommend it. Have you ever been to an event like this one? 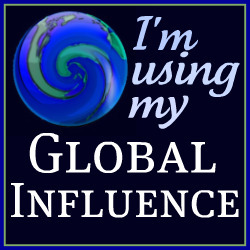 I would love to know what your family thought and how it helped your children. I couldn’t help but smile throughout my entire read. this must have been a lovely experience for the boys.